It’s time to talk about something serious. Something that makes my skin crawl, something that creates a feeling of homicidal rage every time I see it. Yes boys and girls the time has come for the final offensive against the horrid comb over! So break out your weapon of choice whether it be scissors, clippers, or the old standby straight razor, and follow me into the breach my brothers. Come and be one of those happy few who dare to live bald and free. The first time I was struck with the fear that one day I might suffer from the dreaded male pattern baldness was the summer after my first season of little league baseball. I was twelve years old and I had just broken my elbow after a fence jumping accident. Baldness was never foreign to me. My dad’s brother has always sported a shiny dome and that summer I began to notice my own father was beginning to slide that way as well. Terror stuck my young heart as I sat for days with nothing else to do but keep my elbow still and contemplate the horror that awaited me in adulthood. One of the reasons the idea of losing my hair revolted me so much was that this was the early 80s. 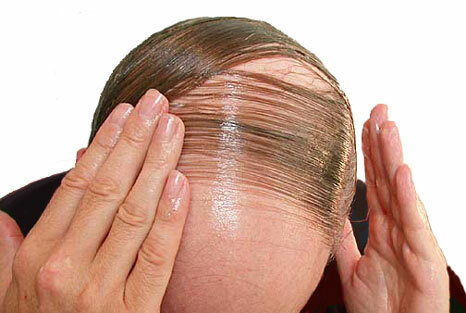 The 1970s and 80s has become legendary for the reign of the fantastically ugly yet often sported comb over. My church growing up was filled with them. Everywhere you turned greasy strings of hair were grown out of sideburns and wispy necks to be pasted to gleaming scalps. My pre-pubescent self would gape in astonishment at the blatant display of mass denial in male society around me. Did they actually think they were fooling anyone? Even if you weren’t sure about Elder so and so or Reverend you know who, you’d just wait for a nice windy day to see if anything lifted off. This began four years of depression. Even as a young child, I was plagued by a vivid imagination. Constant scenarios and fantasies were always playing out in the twisty ridges of my gray matter which lead me to have issues with flying and many other silly phobias. So from that day forward I lived out countless futures of life filled with girls horrified at my unsightly dome. When I was sixteen the first blow in my fight against the comb over was struck by Captain Jean Luc Picard. Yes television for the nerds among us gave me hope. 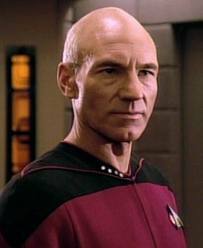 When Patrick Stewart strode across the bridge of the Starship Enterprise I felt empowered. His proud well groomed scalp became a commanding symbol of a future where I didn’t have to fear a receding hair line. 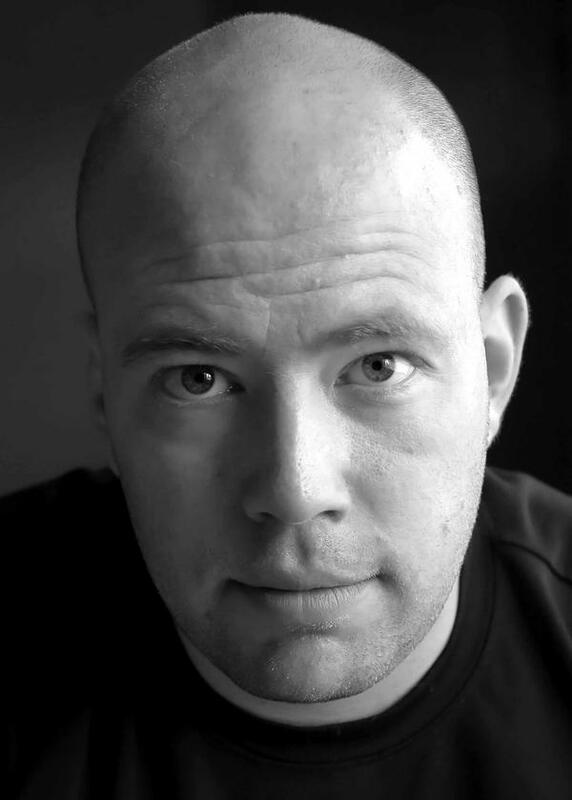 Since then men like Andre Agassi, Bruce Willis, and Vin Diesel have come out loud…er bald…and proud and stood tall for balding men everywhere. 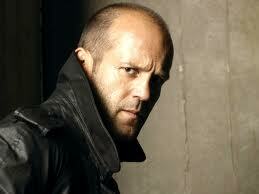 Today the warrior leading the chic/bald offensive is actor Jason Statham. This weekend I watched the movie Killer Elite. Despite my earlier rants about there being no originality in Hollywood, this movie loosely based on a novel that may or may not be loosely based on real events, was pretty good. One of the reasons for this was of course because Statham was punching and blasting away across the screen under his scruffy shaved skull. On a side note my brothers, if you want to see and action film but a certain female someone in your life doesn’t get it; take her to see a Jason Statham movie. She will be so occupied staring at those guns (not talking about firearms here) and that gleaming six pack she won’t even care about all the explosions and bullets spraying all over your flat panel. Afterwards she’ll grab that manly shaved head of yours and show you some hard corps action scenes of your own. This entry was posted on February 14, 2012 at 10:06 am and is filed under Uncategorized. You can follow any responses to this entry through the RSS 2.0 feed. You can leave a response, or trackback from your own site. To baldly go where no man has gone before. Right there with you. I promised myself when I was younger that I would never be one of those guys with a comb over, an omnipresent hat, or a skullet. That’s why as soon as my hair receded and thinned past a certain point, I clipped and razored it. When I was in the Army, one of the Colonels I served under had gone bald on the left side of his head. It looked like he had a partial white sidewall military cut — except the pattern of the spot was roughly like a map of Floridia laid sideways along the the top of his ear. To counteract the selective bald patch, the man shaved to right side of his skull to match (kind of) the hairless zone on the opposite side. Bizarre is not even close. Did we say anything? Oh hell no. I mean the guy was a Bird Colonel with an Airborne Ranger patch. All we said to him was, Yes Sir. Still is was a creepy thing to see. Ha…AJ that is funny…was it an old war wound? Nope, CJ. It looked more like he’d had an attack of the mange. An important topic very well handled 🙂 Deniers everywhere take note!